Getting out into the garden and getting a bit of DIY done is no easy feat, but with the right planning, home improvement and ever woodworking is much easier than you might think. A garden as part of our home may be a relaxing space, a chance to enjoy nature, the sights and sounds of the surrounding beauty. 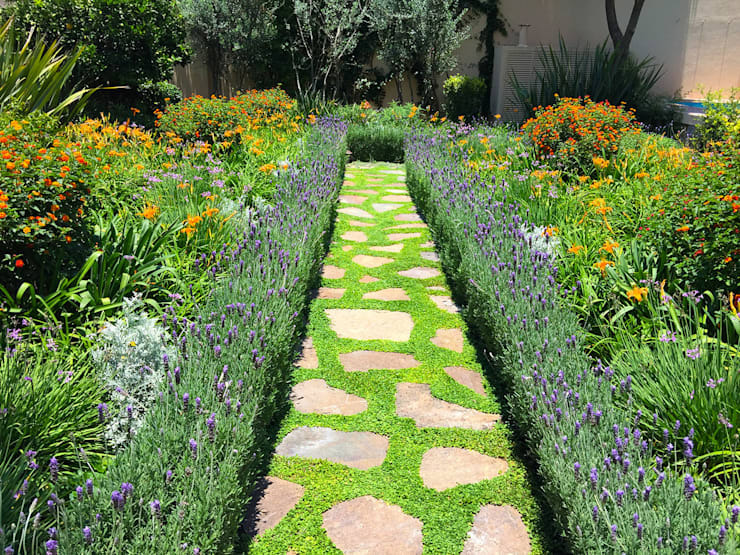 We may want to create a garden that welcomes our guests the moment they step onto the property or opt for a more private space. One where we can be in a state of Zen. 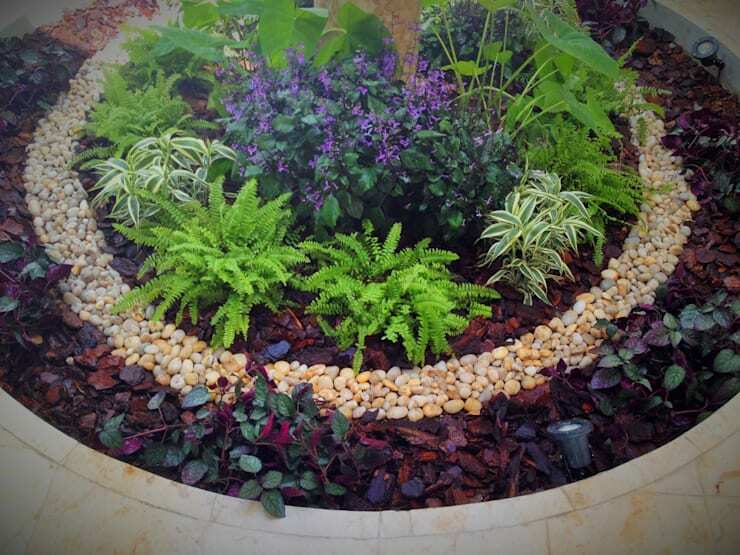 Whatever your reasons are for planting shrubs, herbs, flowers or vegetation, it will certainly add an extra dimension to your home. Through including this colourful and sweet smelling home improvement area to your property you will be able to grow your own organic crops, herbs and even some beautiful flowers. Who wouldn't want to add a wonderful outdoor relaxing spot complete with furniture for those warm summer nights? 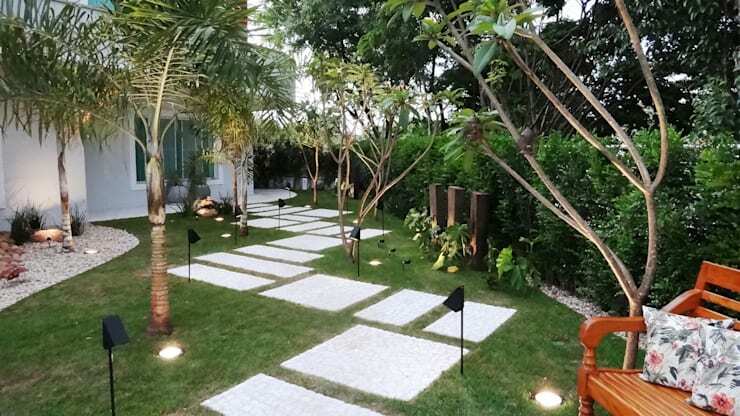 The fantastic contractors have made this garden look absolutely funky with the inclusion of concrete slabs as a pathway, cool lighting and a variety of plants, making this garden completely different to its original exotic idea… it is now something a bit more urban chic. The several types of plants that have been included in this garden space cover the entire place, even the stone staircase. How unique! All outdoor spaces are unique and unusual in its own way and homes with amazing gardens or nature surrounding the property can be creatively fascinating as well. The garden can be an extension of the home or a social area on the property you never thought of before, so make the most of the space and create something magical. 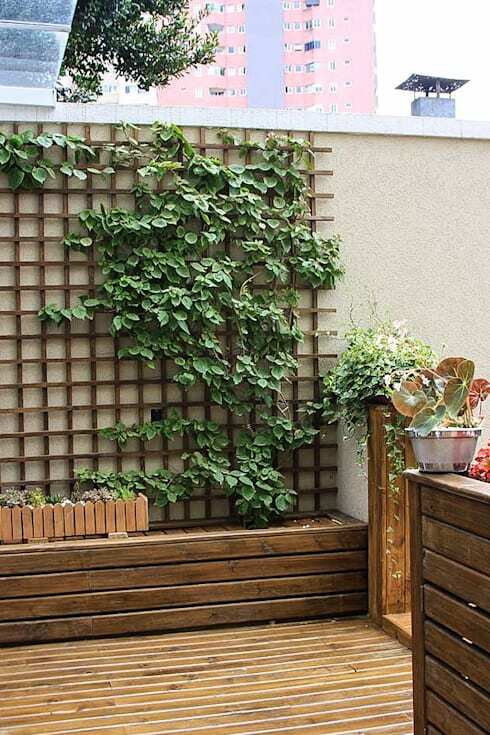 Using lattice wood to create a vertical garden is not a new idea, but this great revival of an old-fashioned plan creates a great addition to a balcony area, hiding a boring wall has never been this easy! Or how about using this idea to hide that old rusty air conditioning outlet? This may be just the creative idea to add green that you never knew you needed! The owner of this property wanted to include the old service area in a functional way, but said he wouldn't have time to pay close attention to the garden. 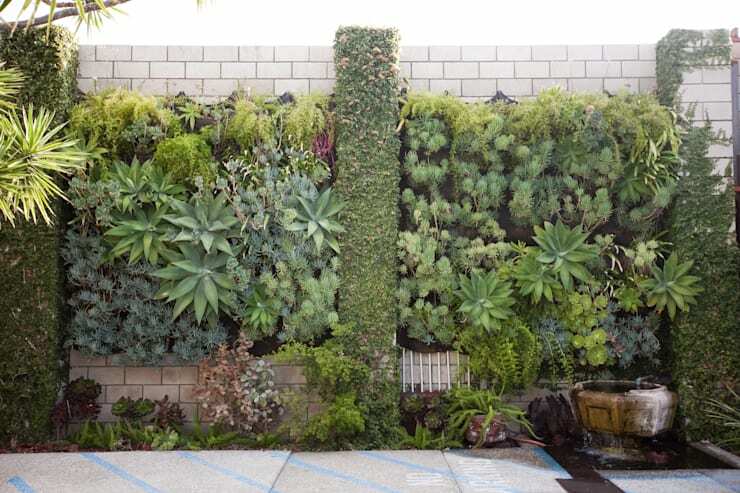 Succulents, cactus and orchids now adorn this once bare space and the old brick staircase with a practical hanging garden and fantastic wooden shelf against the wall taking care of all the blank spaces. Including a combination of plants to your garden area is truly the easiest way of making use of all your space as this fascinating idea coupled with a pond will make the perfect place to sit back and relax after a long day at work. This is an excellent example of how a garden can be harmonious and functional, that private place to escape the hustle and bustle. And with that view from the balcony, it may just be the perfect place to detach and enjoy the sun. Creating an excellent exterior space that suits your personality and style often means including some amazing colours. How about this great idea where everything has been incorporated for classic style and charm? This is awesome if your garden area is not that big, but you want to make the most out of the possibilities and create something fascinating. 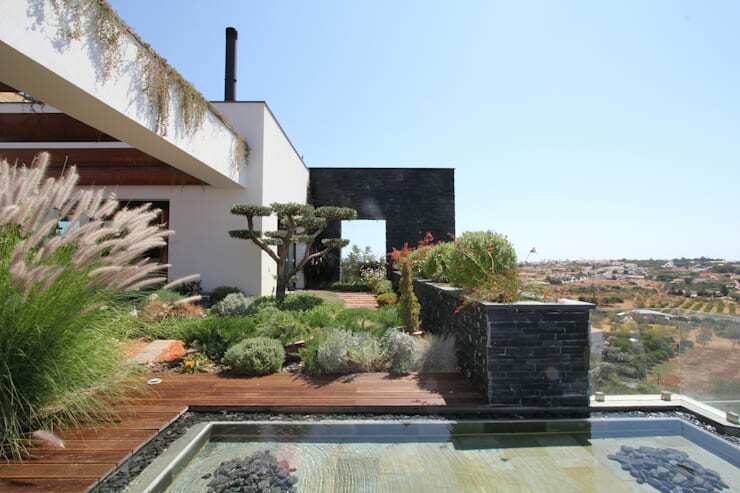 This fantastic garden has been designed by the expert team at EcoEntorno Paisajismo Urbano. The garden should be a place to relax and enjoy the peace and nature of the greenery surrounding the home and if space allows you to be even more creative then symmetry is always appreciated. Why not include a pathway to avoid erosion or some functional outdoor furniture for those really hot summer nights when all you want to do is enjoy a breeze. How about some soft seating or an outdoor eating area for cake and tea if you like to add a royal feel to your space? 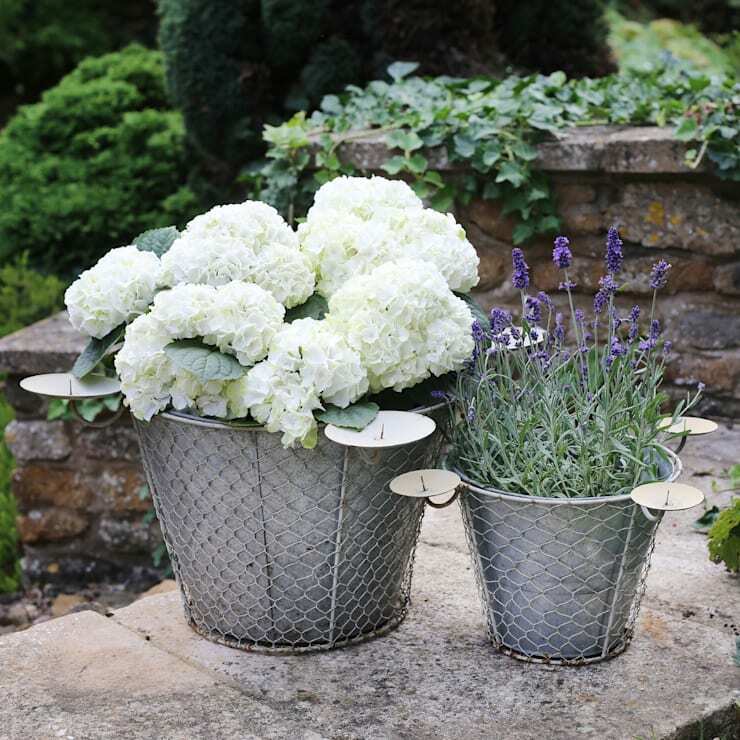 Attention to smaller details are of course extremely important, but if you want a modern take on old ceramic flower pots, then these steel flower pots are an excellent alternative. They are light weight which makes them much easier to move and if you grow a few different bright and colourful flowers then using them as a centrepiece would be a perfect! Or how about growing your own herb garden? 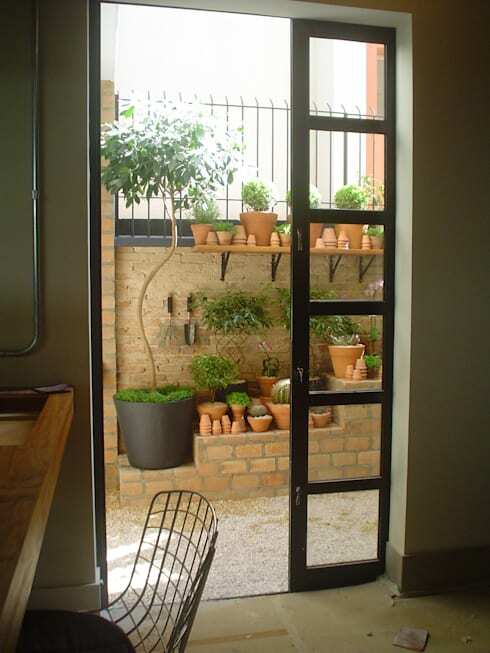 For more inspiration, see how you can: Have Your Own Herb Garden At Home. Have you made the most of your driveway space? Have any of these tips inspired you to plan a project? Let us know!